Developer Tripwire Interactive announced last week that Killing Floor 2 will include microtransactions via a special in-game store called "The Trading Floor." While playing through a match, players may find an encrypted crate or USB stick that contains a new weapon skin or other cosmetic item. By heading over to the Trading Floor, players can purchase a decryption key that will decrypt these items and relinquish their contents unto you. Chances are that if this had happened next month or even early next year, there wouldn't be much kerfuffle over it. 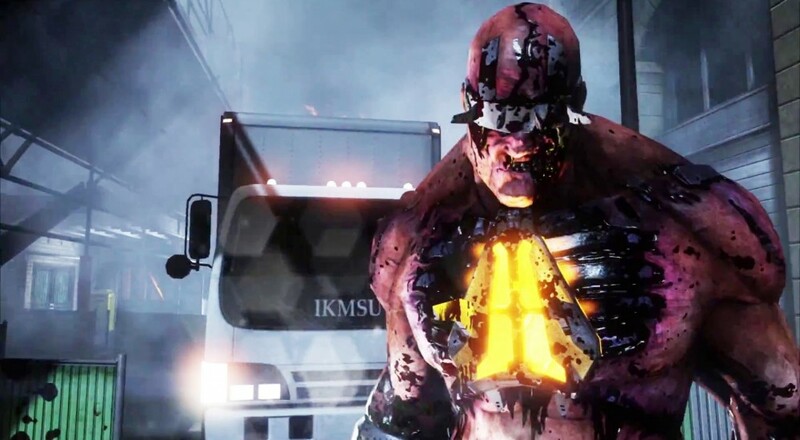 However, with the events surrounding the addition of microtransactions to PAYDAY 2 and the reaction to that from its community (many of whom may also be fans of Killing Floor), Tripwire has a bit of a situation on its hand. What makes this particular instance different is that the items being offered are purely cosmetic and carry no in-game benefits; something that is very clearly pointed out in the announcement post. Players may also acquire some of these items in-game directly, without having to pay. Tripwire's reason for implementing this is no different than that of Overkill's, i.e., money is needed to support development costs, but a key difference here is that Tripwire is being more transparent in its messaging. Additionally, the developer is not the only one who would make money off of this. Back in September, Tripwire ran a contest for the community to design gun skins with a prize of $1,500 up for grabs. It appears that many of those skins have found their way into the game via the previously mentioned crates/USB sticks and the creators of those skins will earn a little something from the players purchasing the decryption keys. In the future we may be adding weapons with new gameplay for sale, but this will appear in the “Shared Content” area on the server. This means that, if any player on the server has a weapon (like the Chivalry Zweihander now), then every player on the server will be able to use it. No-one gets any “advantage”. Co-op game - everyone starts out equal! Our goal is for any such weapons to be side grades anyway, so they won’t provide an edge over the current tier of weapon power. As I said in my news post about PAYDAY 2 adding microtransactions, we as gamers have to get used to the idea that the inclusion of these forms of payment are becoming the new norm. Similar to how DLC was despised upon its initial release and now has almost become a given, microtransactions are the new future for post-launch developer support. It should be noted, however, that the way these types of transactions are implemented and the type of content they deliver/provide is a vital matter of discussion within the gaming community, and something that should be part of the ongoing dialogue between video game players and video game developers.